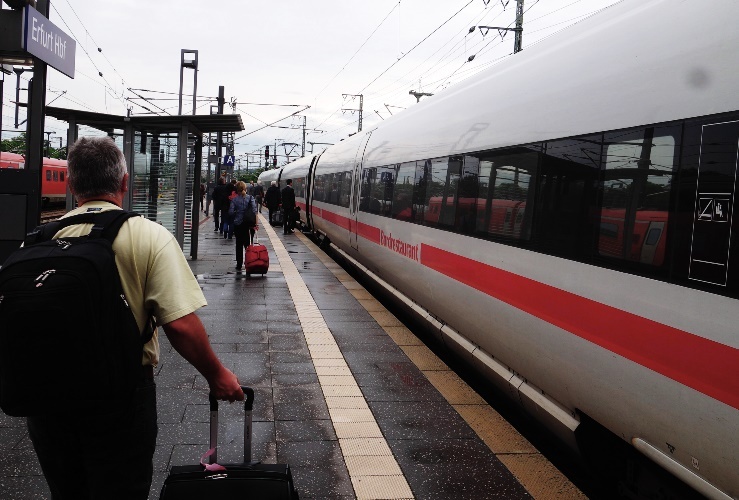 When I head home from Germany I usually have to take two trains to the airport. Then it is time for a long flight. The first train is a regional train. Luckily, I didn’t have to be up as early as I had to for this one. I decided to take the evening flight so I didn’t have to wake up at 3:30. This morning the train was packed and there were people standing in the aisles. 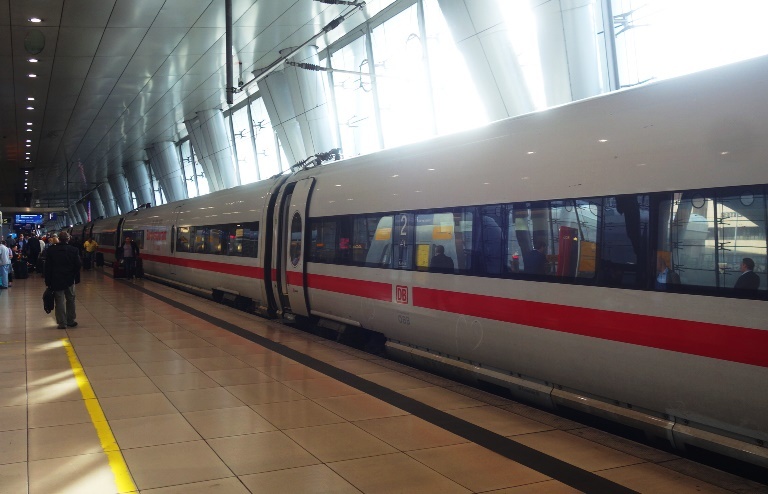 In Erfurt I boarded an ICE train which is much more comfortable and quite a bit faster. It was still full, but I at least had a nice seat and a place to put my bags. 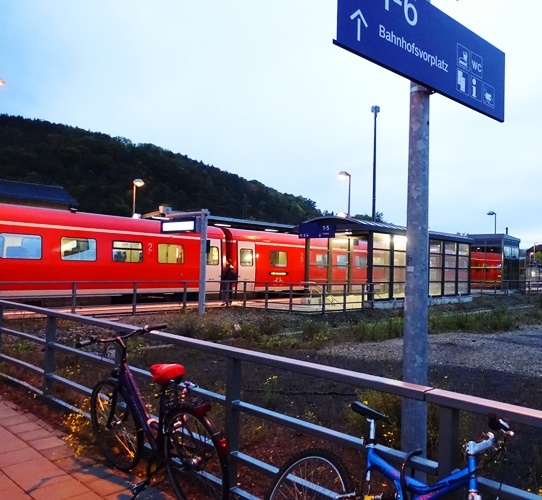 The train stops right at a station connected to the Frankfurt airport so it is then just a long walk to the check-in area. Today I had a choice of several trains with a different number of connections. The route with only the one connection runs every two hours so I had the choice of two extra hours at the hotel or two extra hours at the airport. I chose the airport option just in case. I can now relax while waiting for my flight. 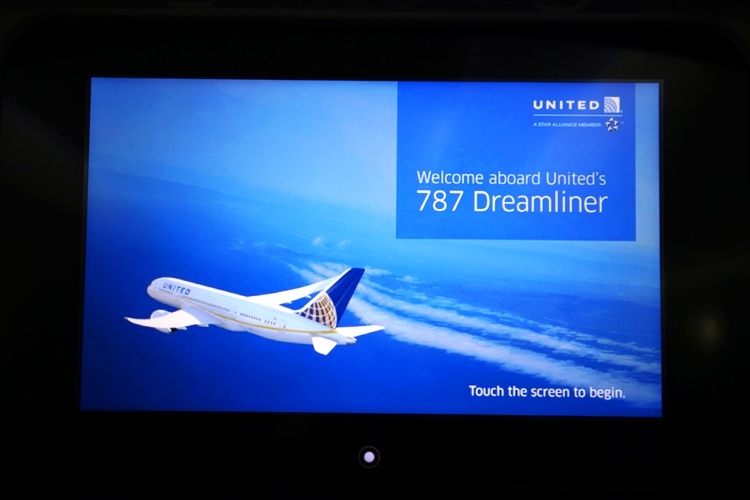 Thankfully I am flying on the 787 as it is my favorite type of plane. The air in the plane is not as dry so it makes for better breathing. 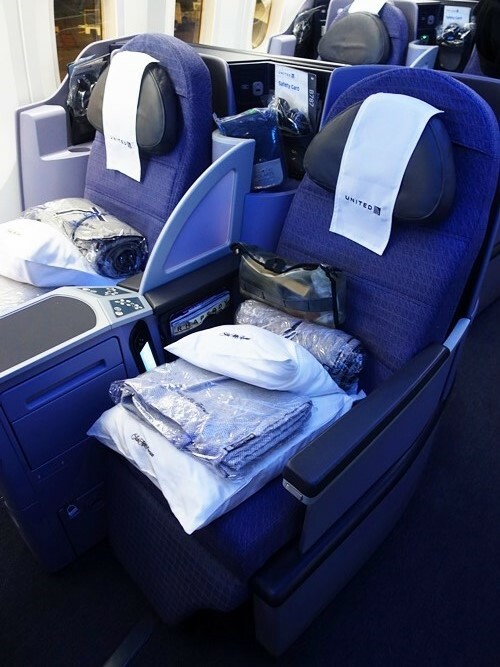 I will have a nice seat on the plane thanks to the upgrades that I received due to the There and Back flight that I took last year. Now to sit back and relax and have a nice lunch in the Senator Lounge. This entry was posted in Germany, transportation, Travel and tagged 787, Boeing 787, Business Class, FRA, German Trains, Planes, trains. Bookmark the permalink.